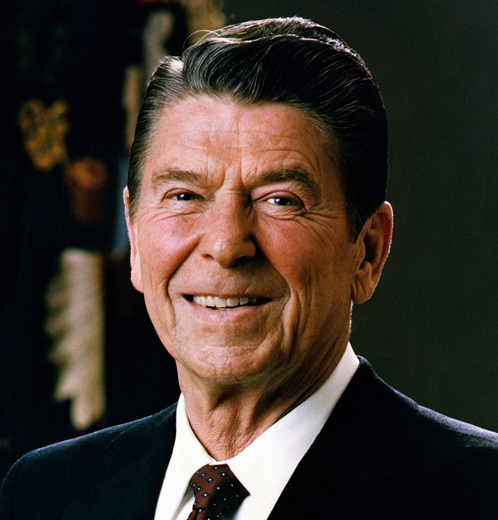 What do you know about the career of Ronald Reagan prior to him becoming president? 2. After graduating from college, Reagan took a job broadcasting home football games for what university? 3. Reagan served in the U.S. Army but was excluded from serving overseas. Why? 4. What role did Reagan play in the 1940 film "Knute Rockne: All American"? 5. Of what movie did Reagan say, "it made me a star"? 6. To what position was Ronald Reagan elected seven times from 1947 to 1952 and in 1959? 7. What weekly American anthology series did Reagan host in the late 1950s? 8. Reagan's final work as a professional actor was as host and performer on what 1960s TV series? 9. Reagan's "Time for Choosing" speech in October, 1964 raised $1 million for what Republican Presiential candidate? 10. To whom did Reagan lose the 1976 Republican Presidential nomination?